I know this was meant to be humorous, but it’s true. We just bought a new house (to us), and we don’t have that debate! When you walk into the powder room the lid goes up. When you sit down the seat is warm! 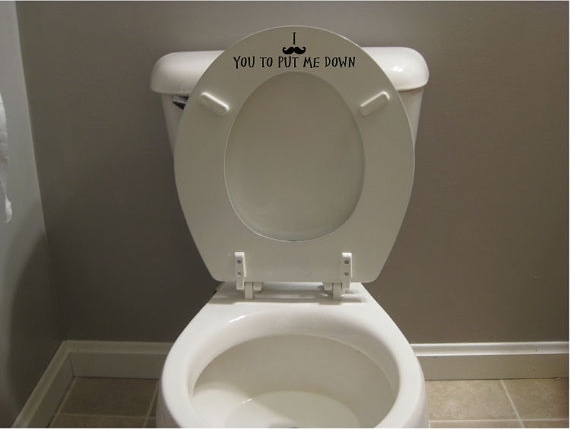 When you stand up, it flushed itself, and when you leave, the lid goes down! It scared me to death the first time I went in to use it! There is also a remote control on the wall next to it. I don’t know what all the buttons do, but you can program it to person one or person 2.